Outstanding temperature control - cooling and heating! FlowSyn Cold is a stand-alone reactor module which, when coupled with FlowSyn and an external recirculating chiller, allows you to perform reactions between -70°C and +150°C. The integrated FlowSyn control interface provides communication with the chiller, while the temperature probe inside the FlowSyn Cold module ensures accurate and uniform temperature maintenance throughout. 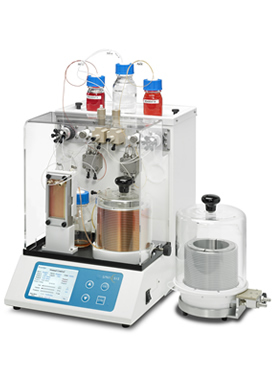 When using FlowSyn Multi-X, multiple reactions at varying temperatures can be performed automatically.